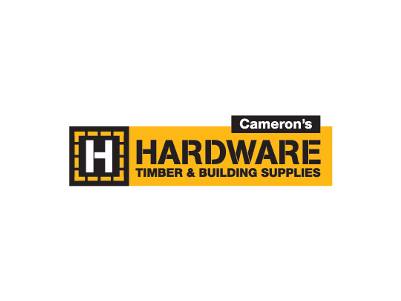 One of the oldest family businesses on the south coast, operating from the same premises for the past 41 years, cameron's H Hardware is a family owned and operated Timber & Hardware specialist trading from two locations at Batemans Bay & Moruya on the far south coast of New South Wales. At Cameron's H Hardware you'll find just about everything to satisfy the needs of professional builders, owner-builders, handymen & DIYer's. 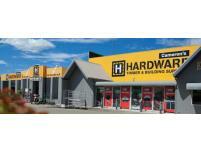 You'll find comprehensive ranges of soft and hardwood timbers, sheet products, cladding, cement, plaster, treated timber, mouldings, roofing, fixings, power & hand tools, paint, timber finishes, doors & door furniture, gardening supplies, tiling & masonry supplies, as well as having access to over 500 suppliers to source anything not stocked at reasonable prices.